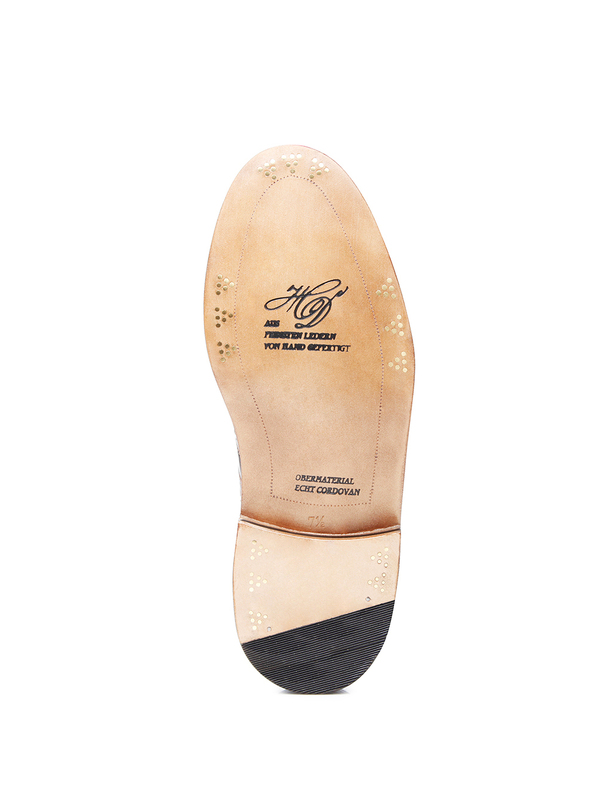 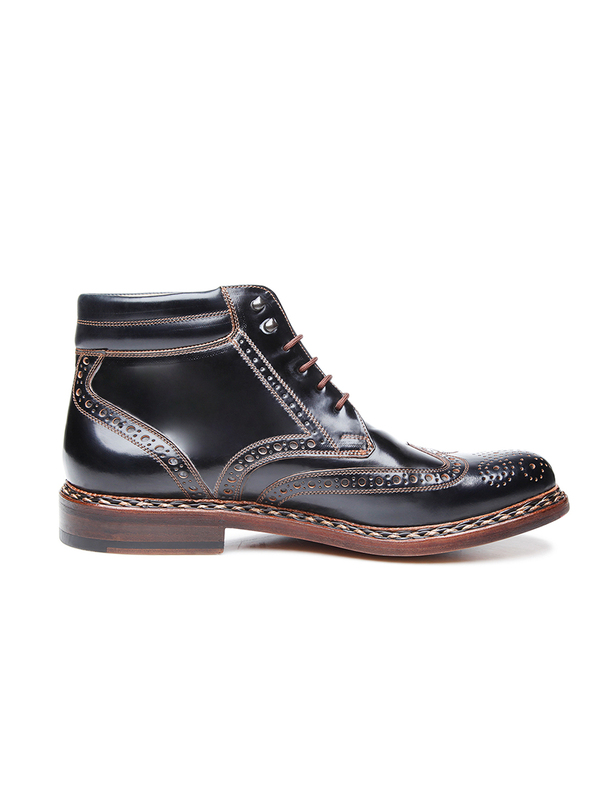 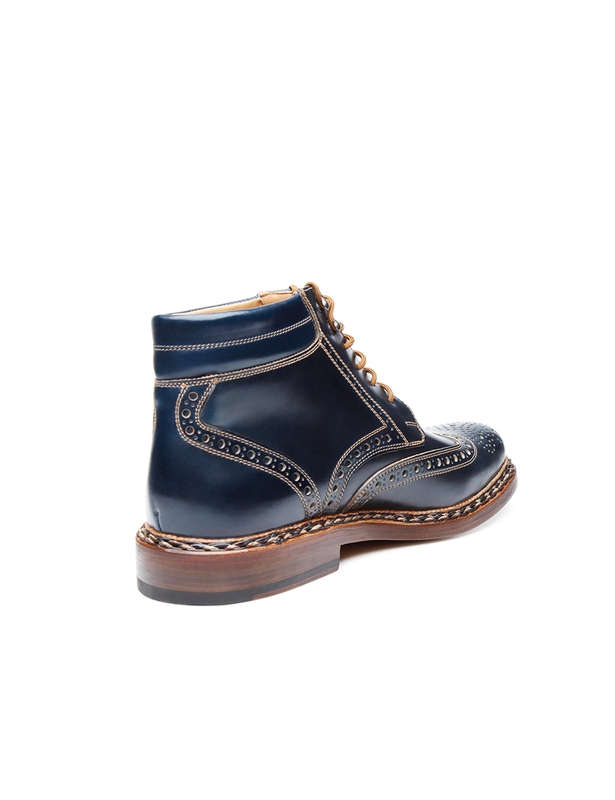 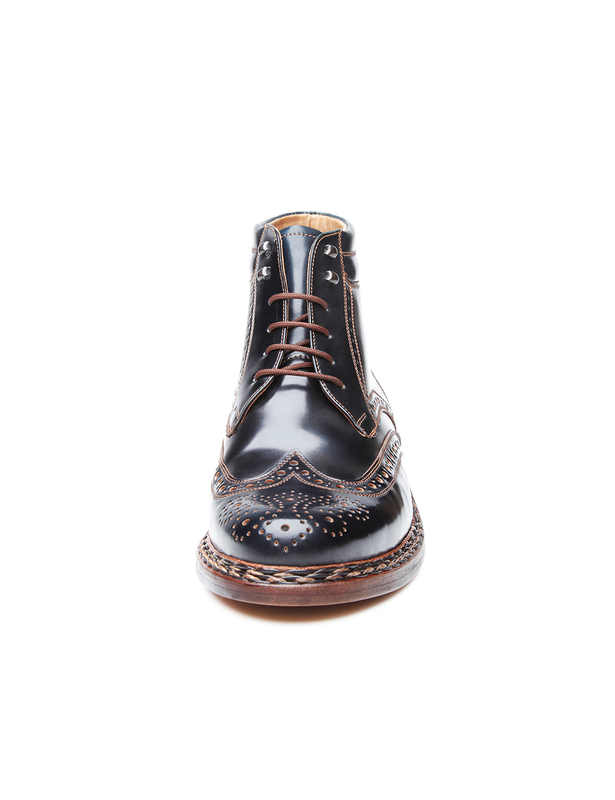 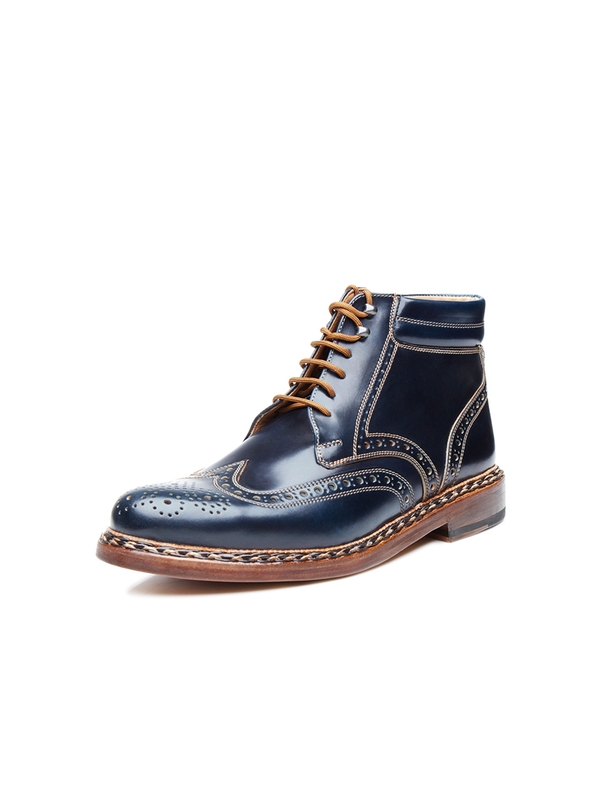 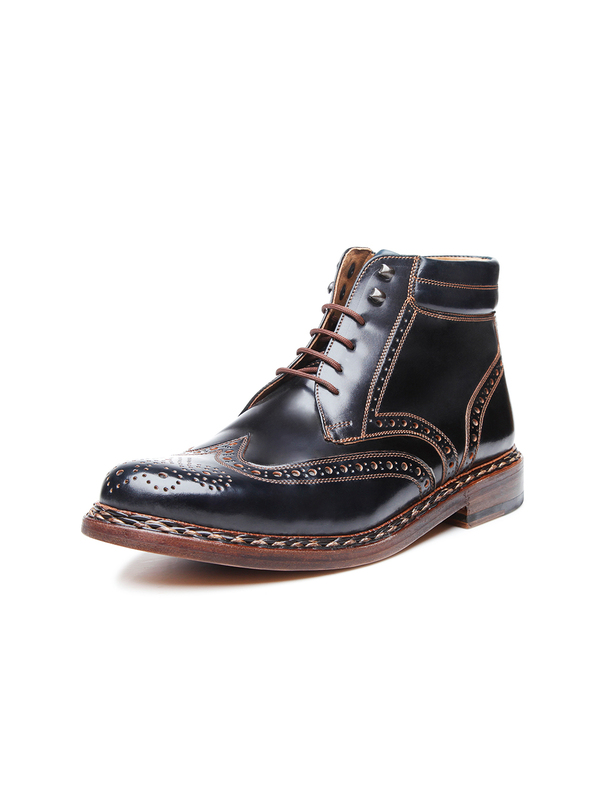 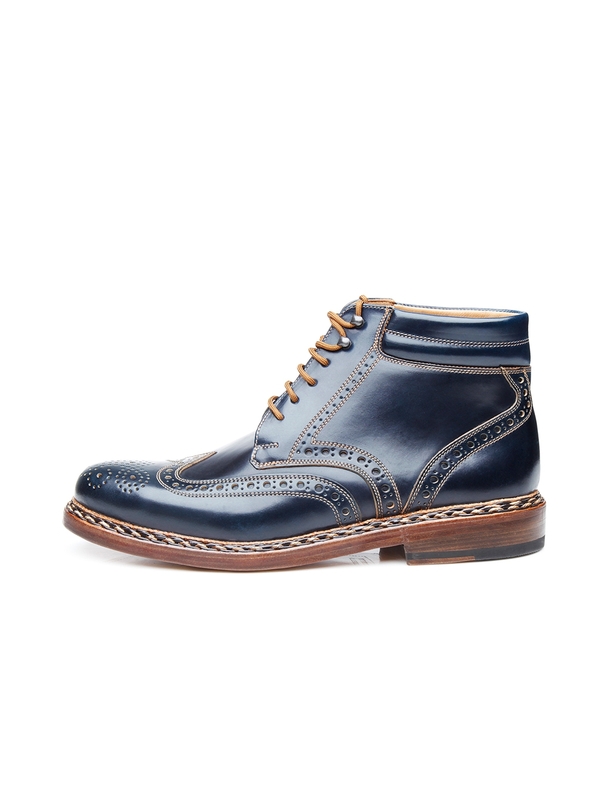 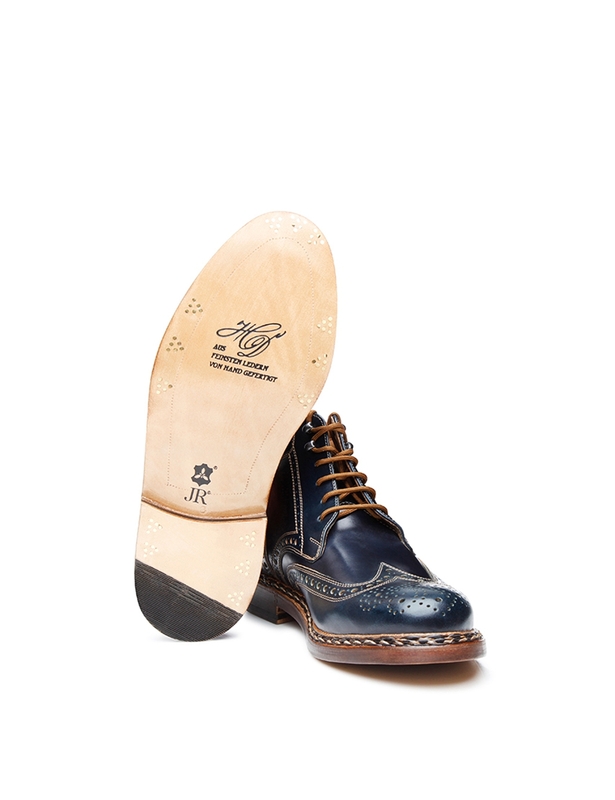 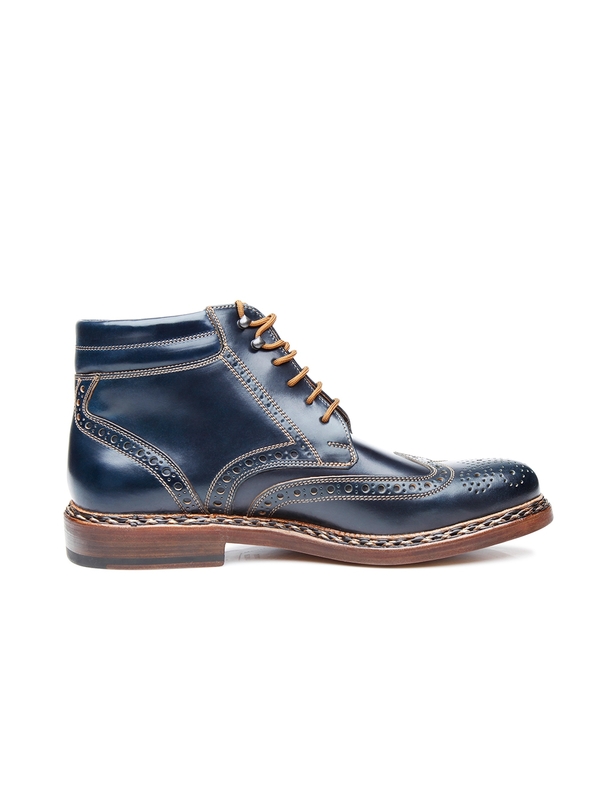 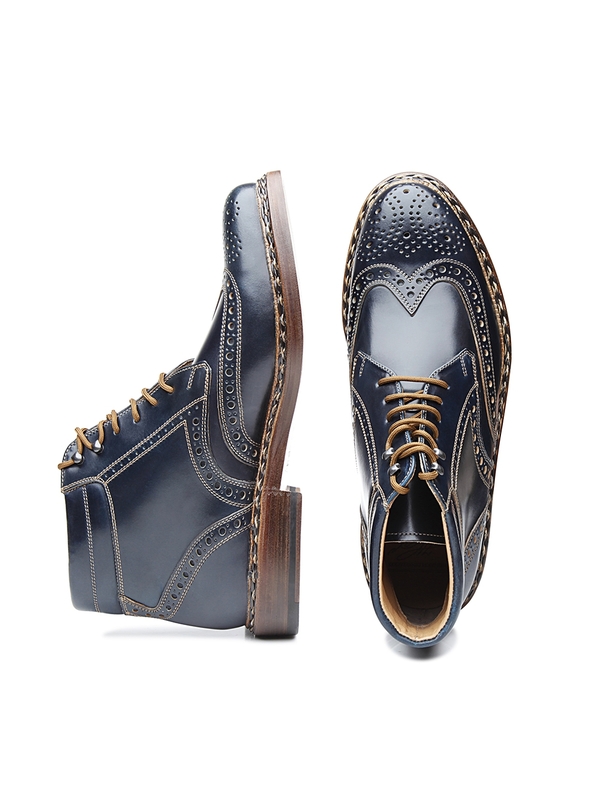 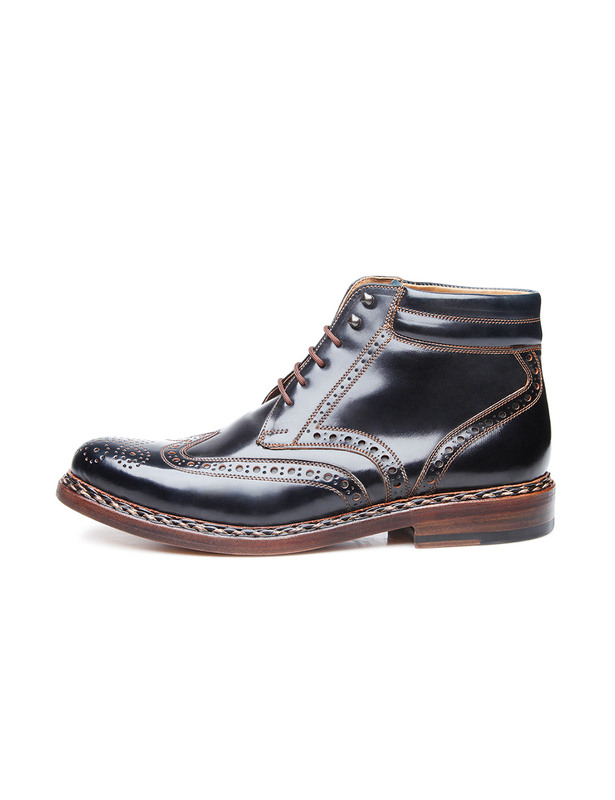 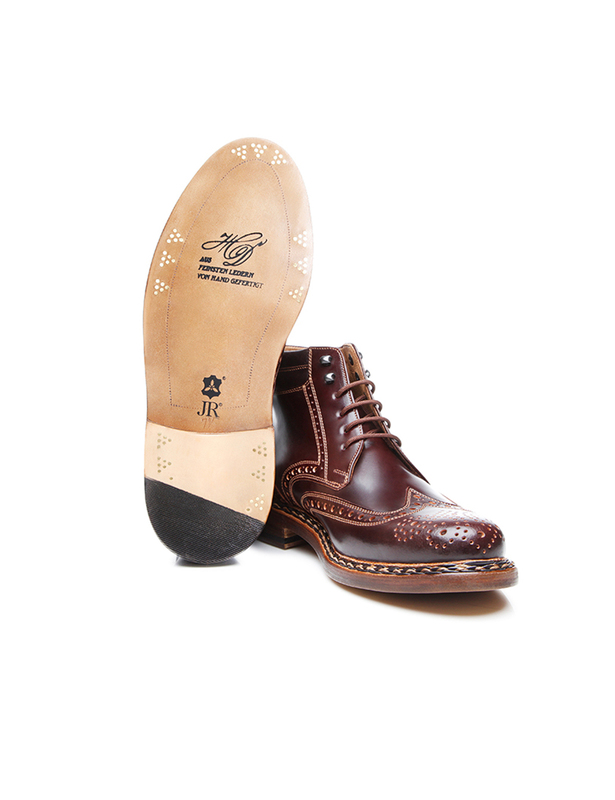 This handcrafted men’s boot is a luxurious shoe that can be worn on a daily basis, made from the most highly sought-after type of leather in the world. 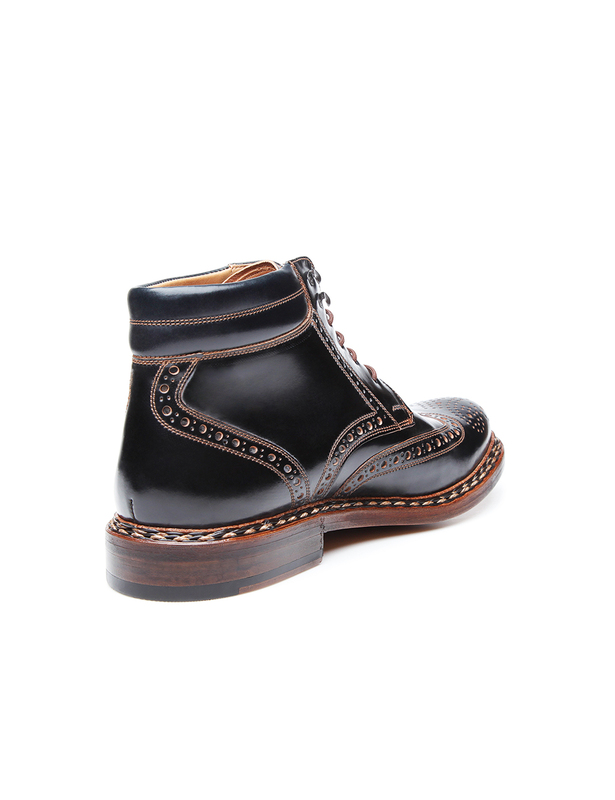 Only a selected few factories get to experience the pleasure of working with the extraordinary equine leather made by the American Horween tannery. 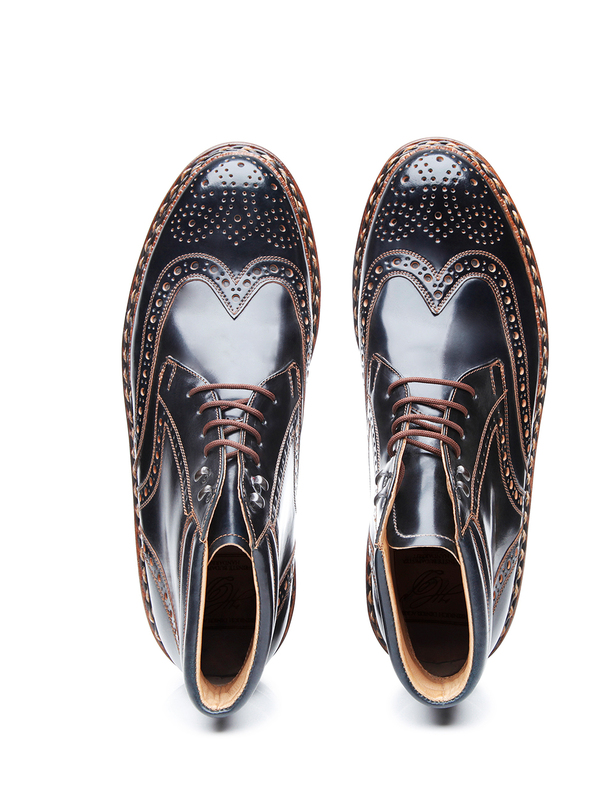 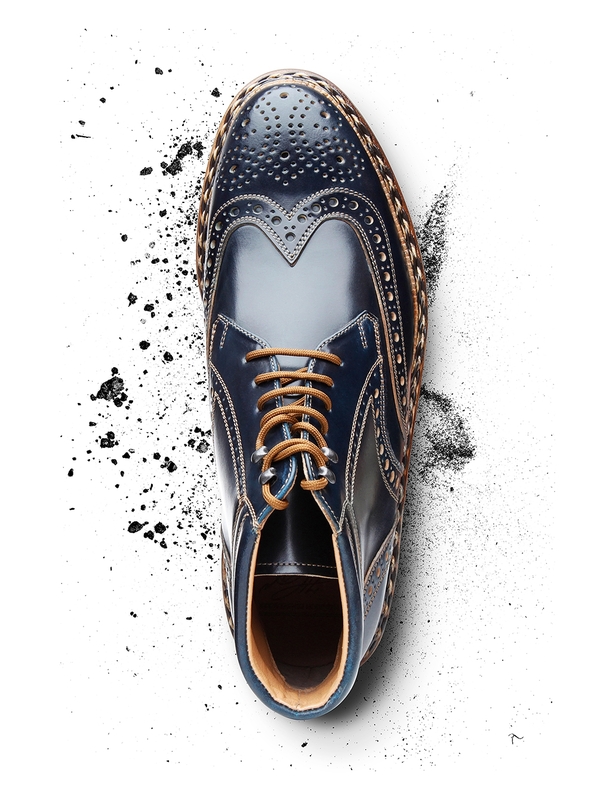 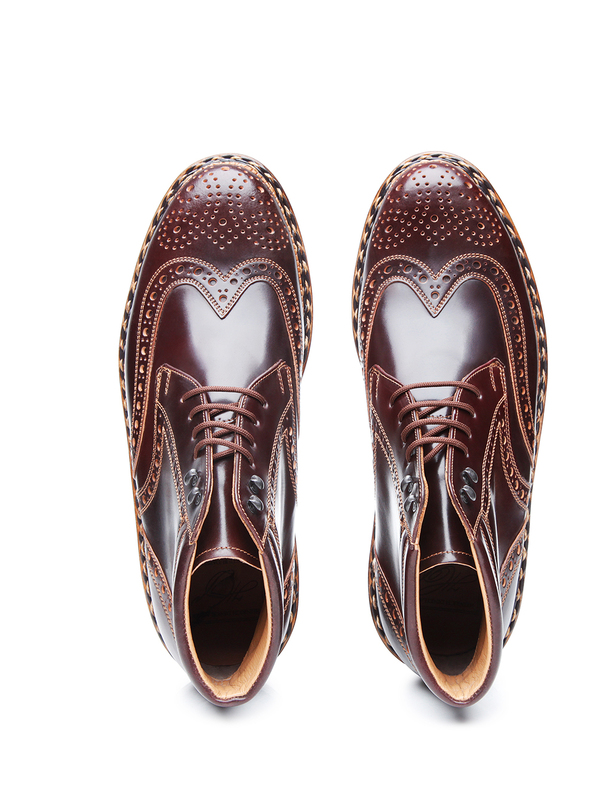 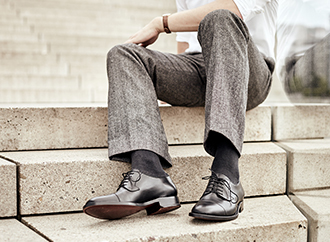 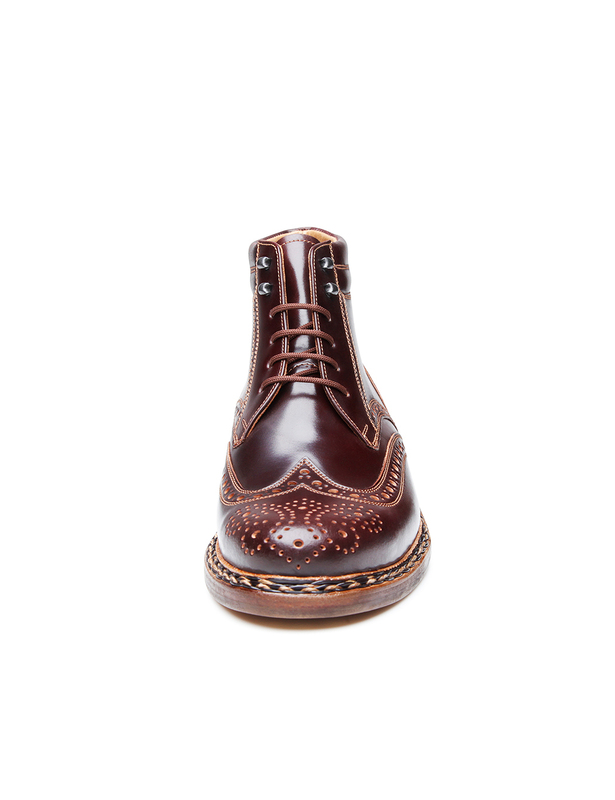 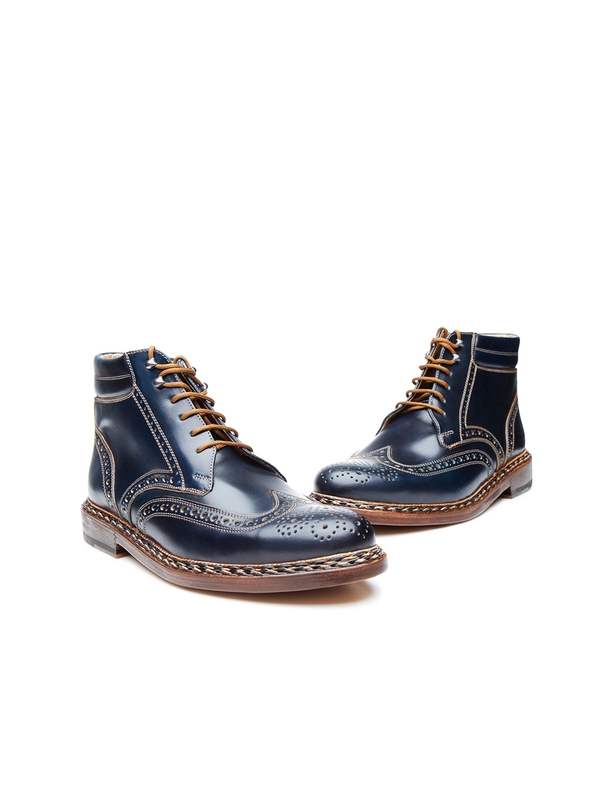 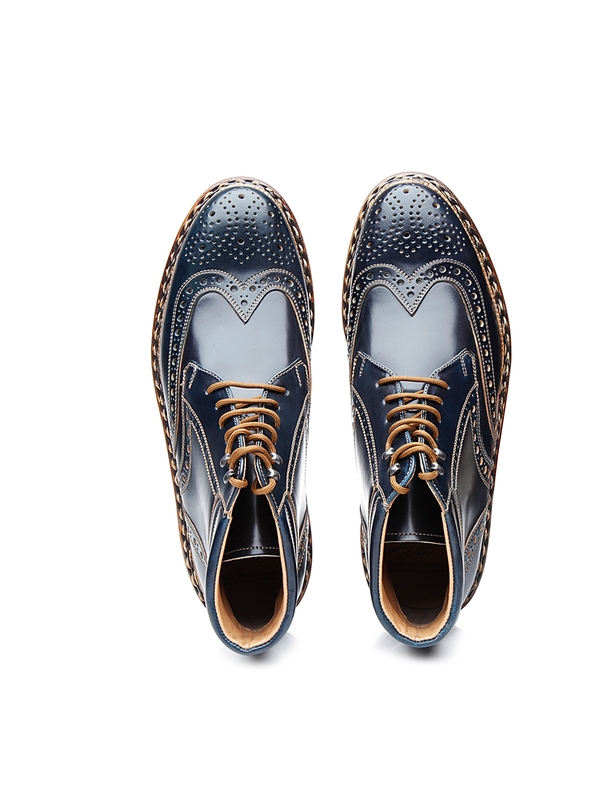 Thanks to its high proportion of fat, shell cordovan is nearly waterproof, highly resistant to scratching, and moulds beautifully to fit against the shape of the foot. 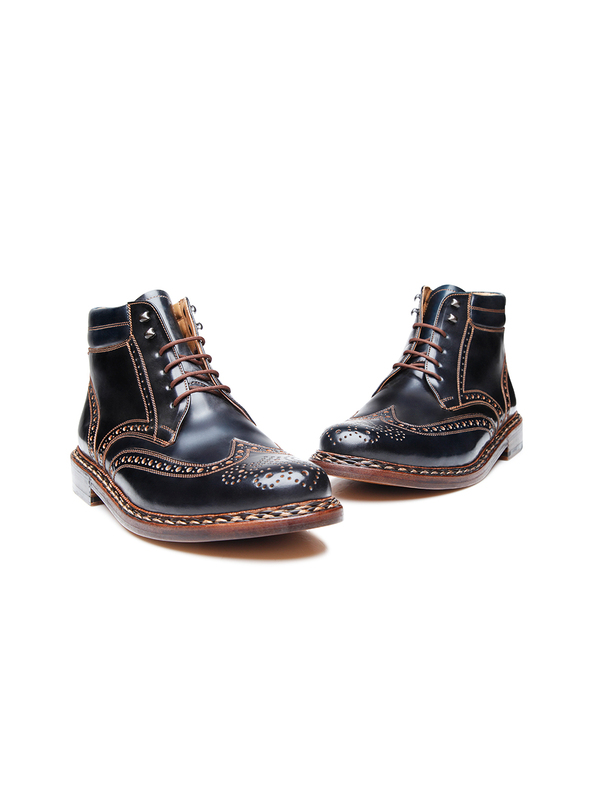 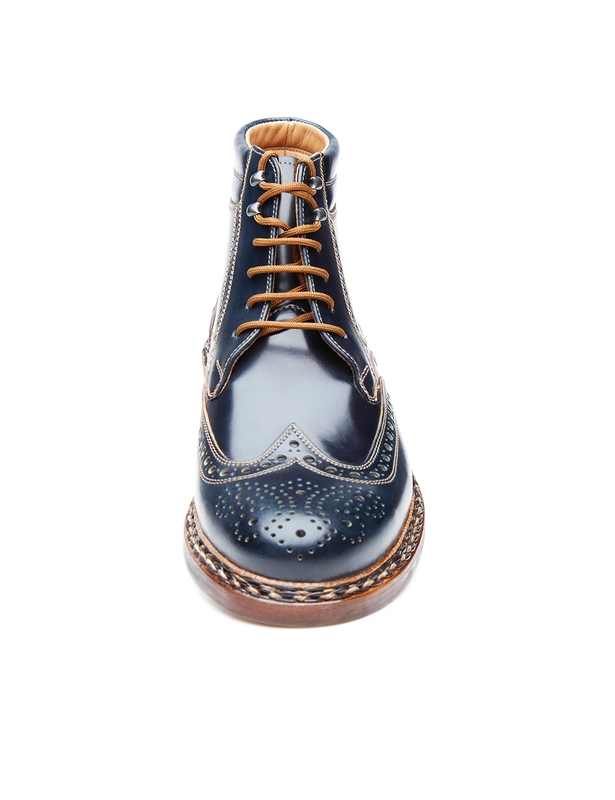 This boot’s supple, gleaming upper is beautifully offset against opulent Lyra perforation, and lent a lively touch by open hook-and-eyelet lacing. 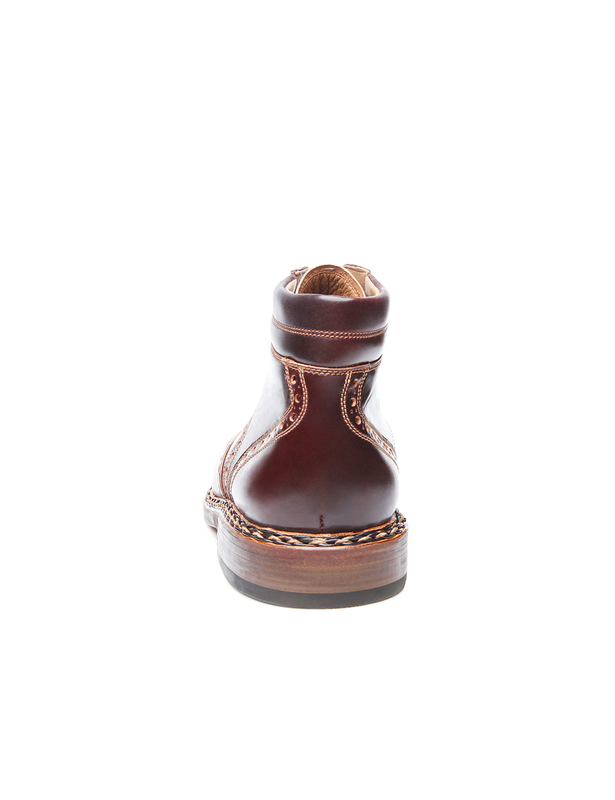 It is also set apart by the comfortable Buda last from which it is made, its hand-stitched braided welt and its robust double sole. 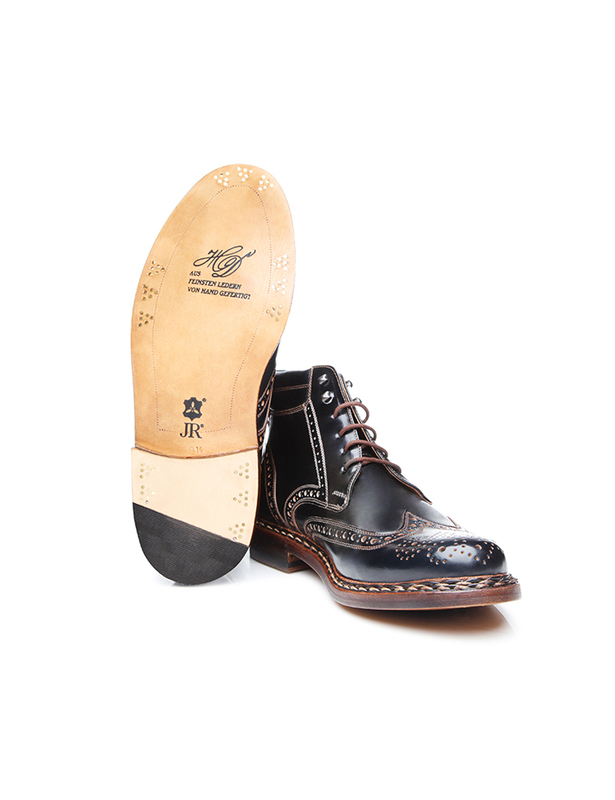 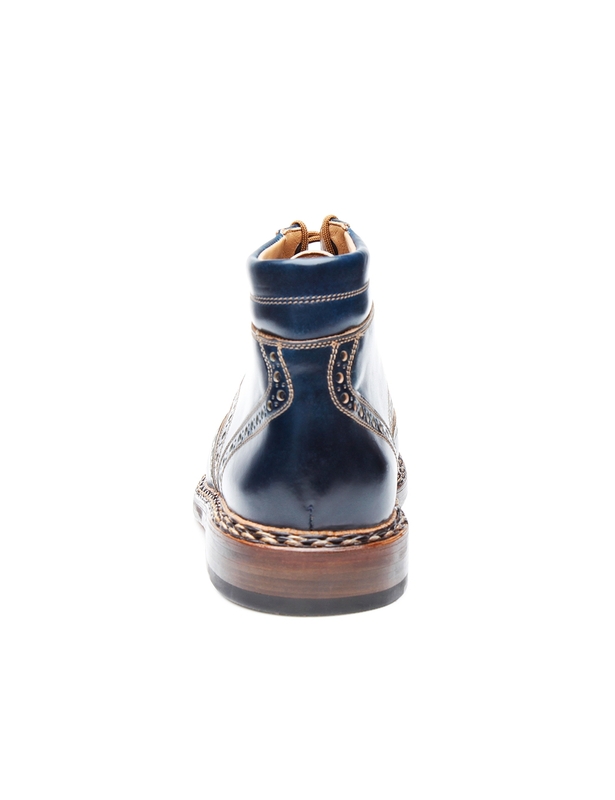 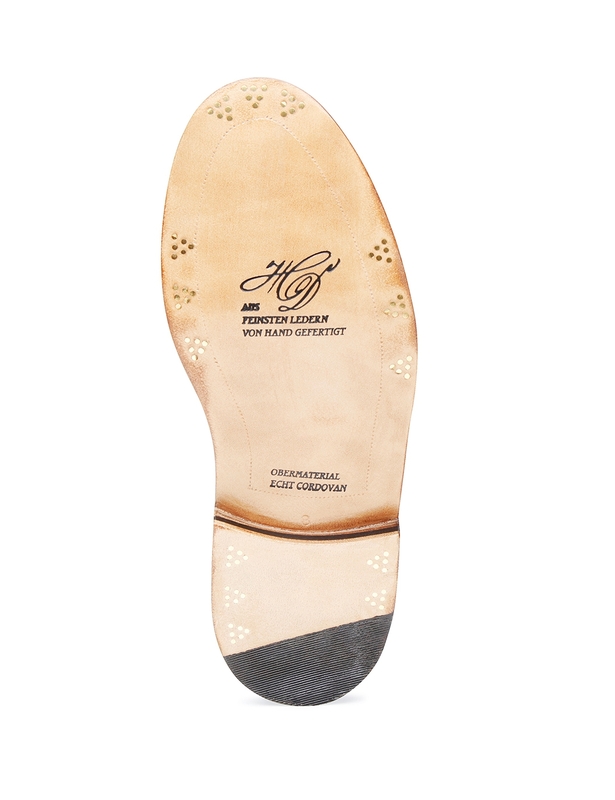 Last but not least, the boot also features a beautifully detailed set of six nails under the toe. 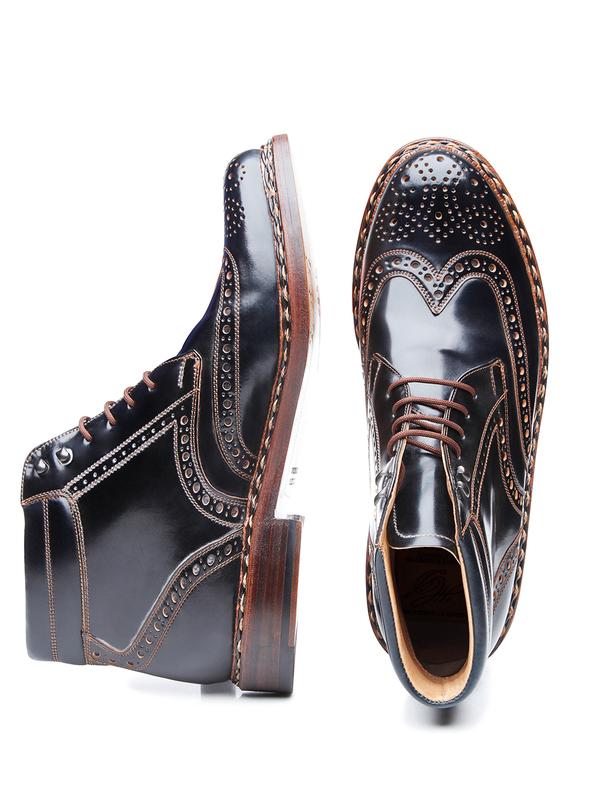 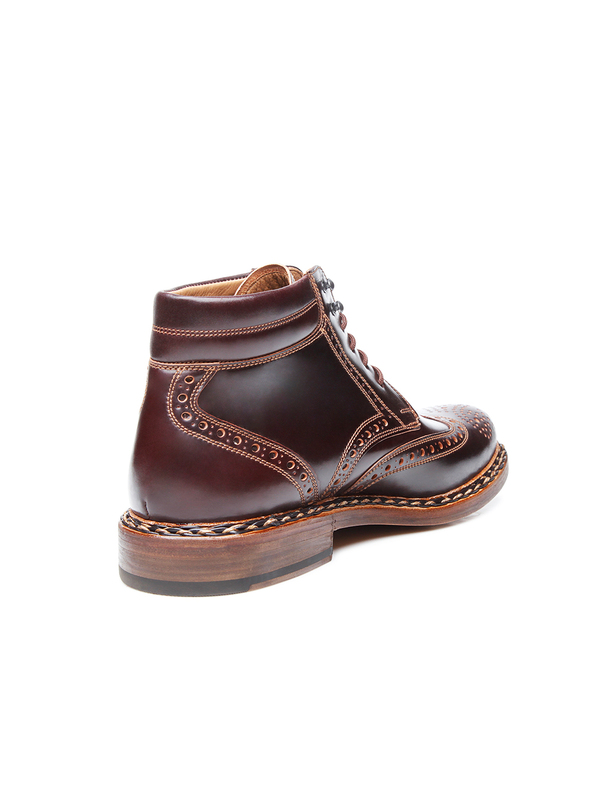 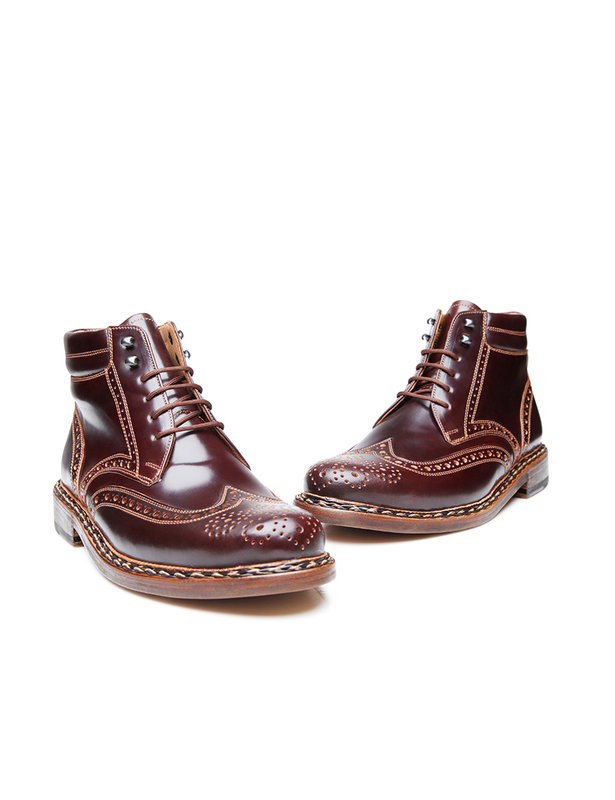 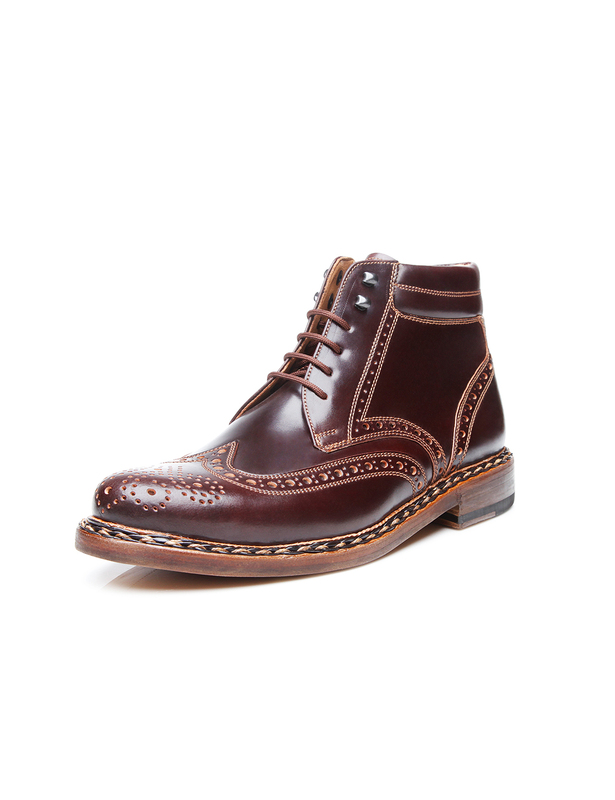 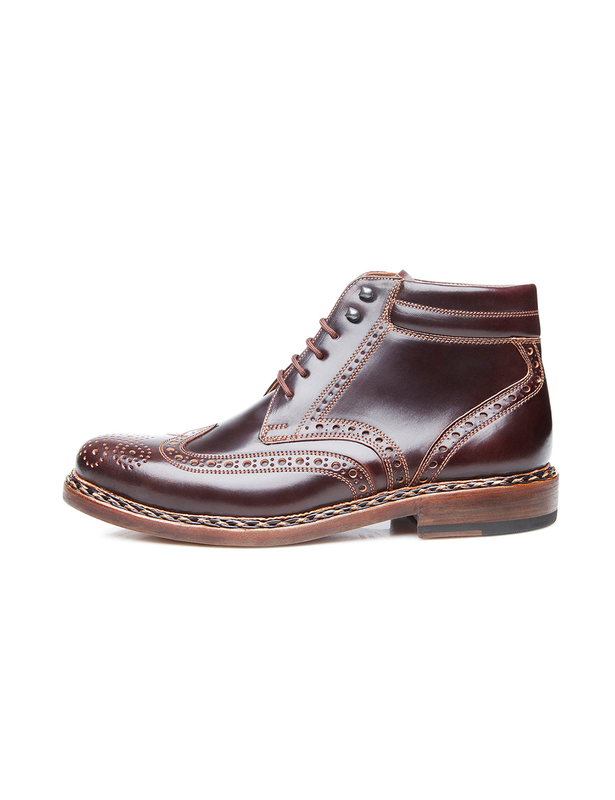 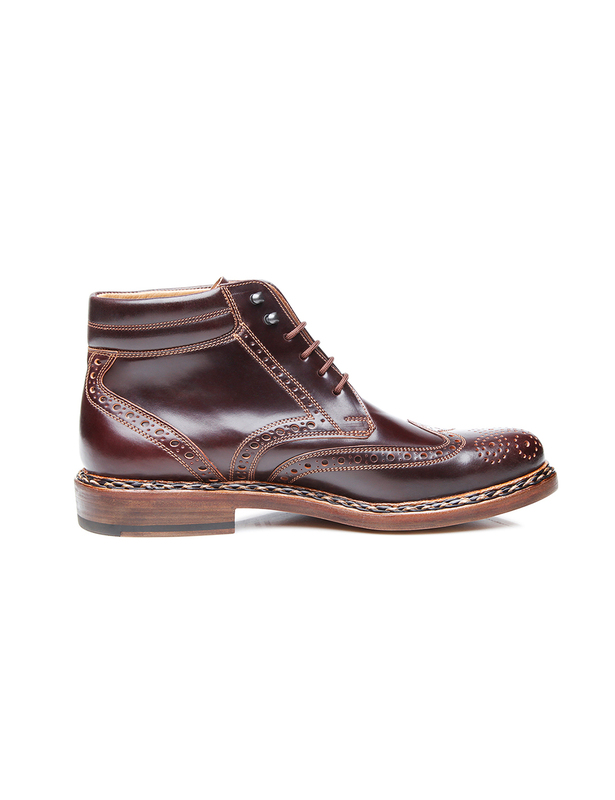 This boot is available in oxblood and black.